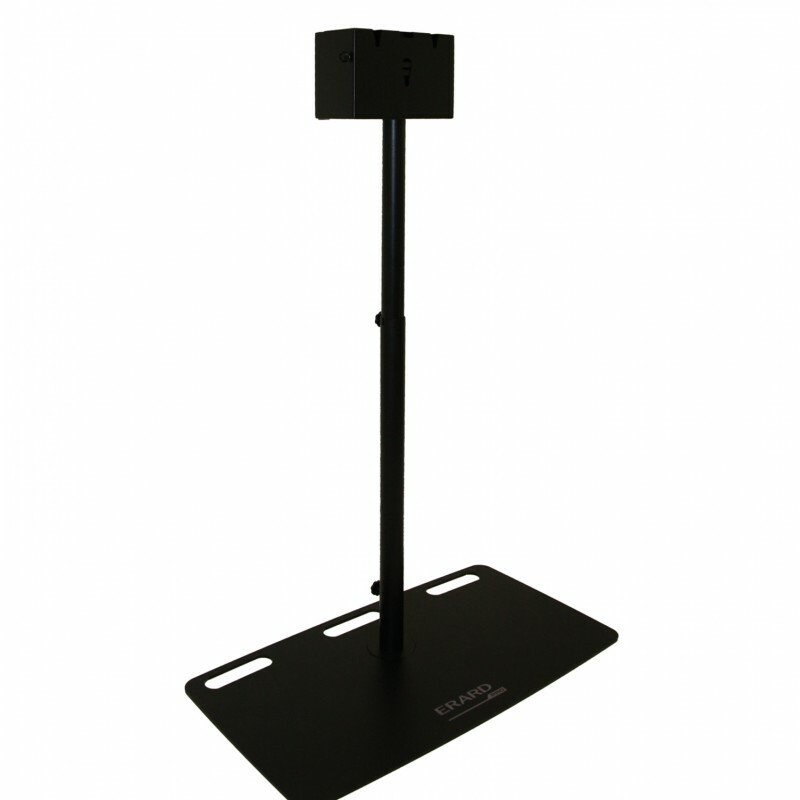 This floor stand was designed and developed to follow you on all your events, whatever the size of your displays. Your events must reflect who you are. 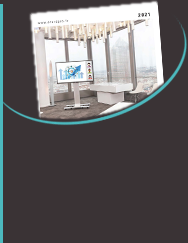 In addition to its ease of use, the aesthetics of the EVENT stand will stress your professionalism. 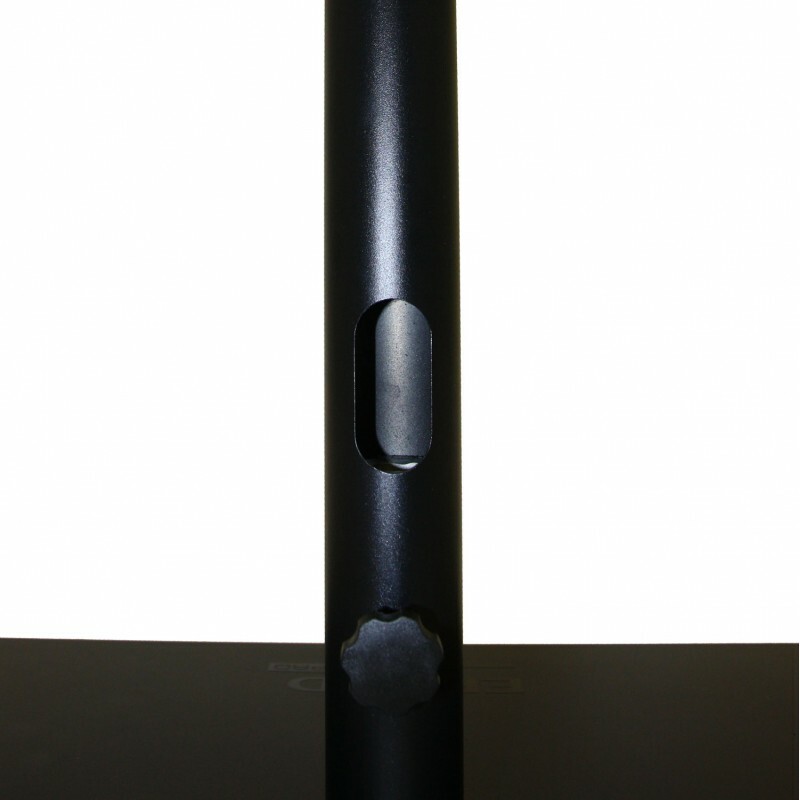 Its wide base (1m * 0,56cm for 34kg) ensures a great stability. Designed to be easy-to-assemble, the stand is composed of 4 parts which fit together. Mounting is easy, quick and tool-less. EVENT stand is flexible : according to the wanted height, fit one, two or three parts together. 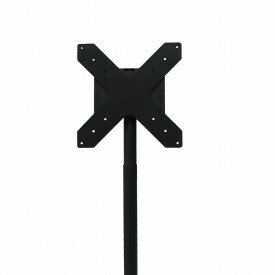 You can have 6 different heights to attract public’s attention in any configuration. 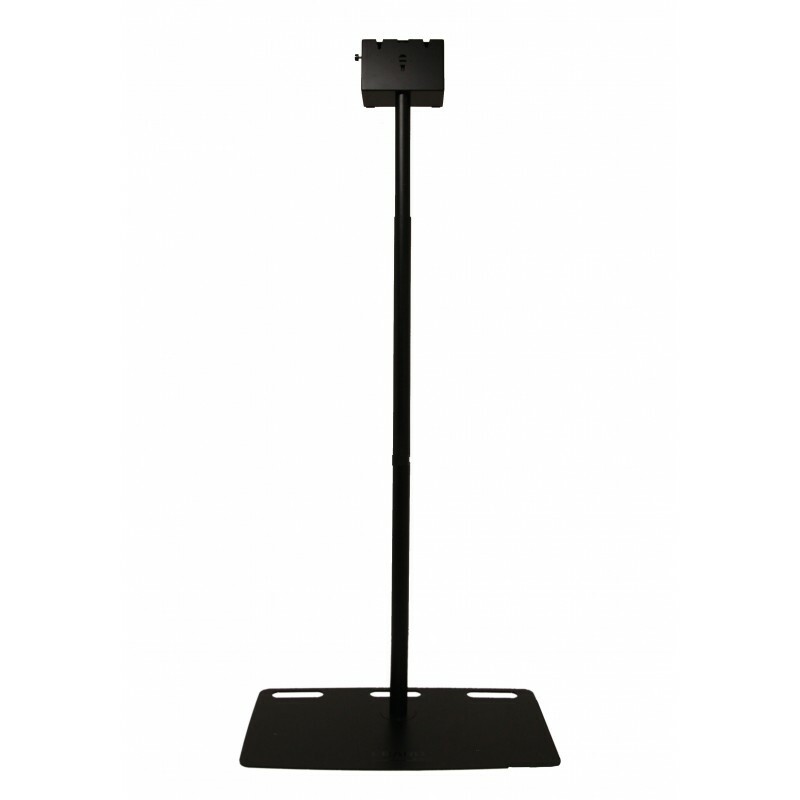 EVENT stand is equipped with an anti-theft mounting box which allows to integrate a player or a multi-socket. 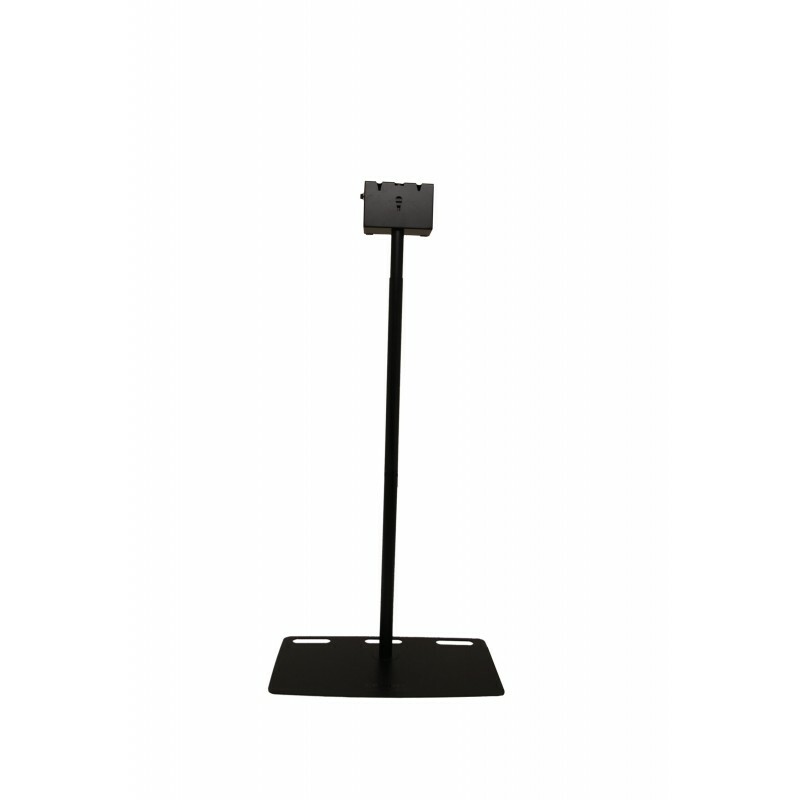 EVENT stand is equipped with a 3-points Lock and Secure system : no tool needed. 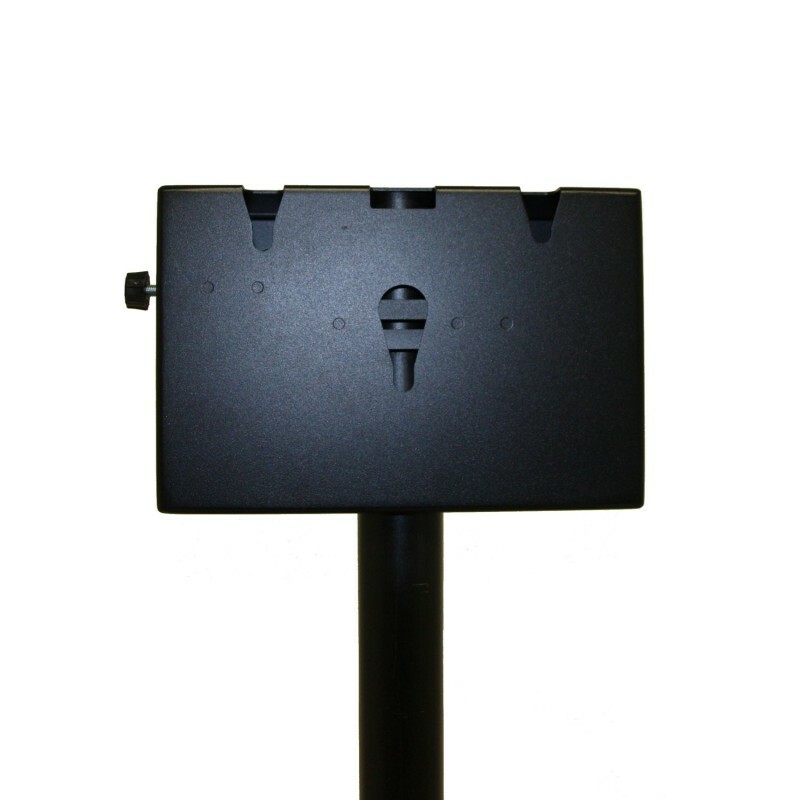 Mount the VESA plate before your event. 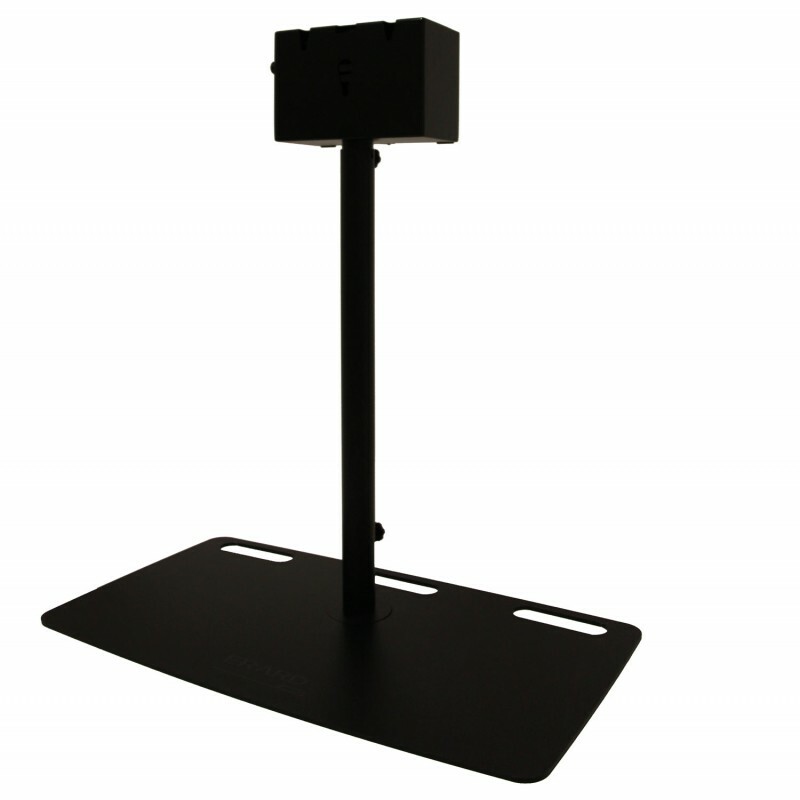 Then, when installing the EVENT stand, mount it and put your screen on the mounting box. This convenient and ingenious system secures your screens as it is anti-theft. No need to buy several mounts for each size of screen. Thanks to this Lock and Secure system, you can adapt any VESA on the mounting box by means of a VESA plate that we can realize if you don’t already have one. 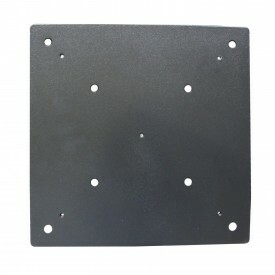 Your investments for screen mounts will be streamlined and your ROI will be quicker. Don’t hesitate to consult us for any demand. The design in 4 parts enables an easy storage in limited space. In addition, EVENT stand is easy to transport. 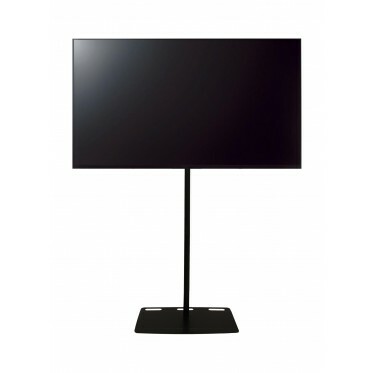 In addition to this stand, a VESA plate is needed for the installation of your screen.